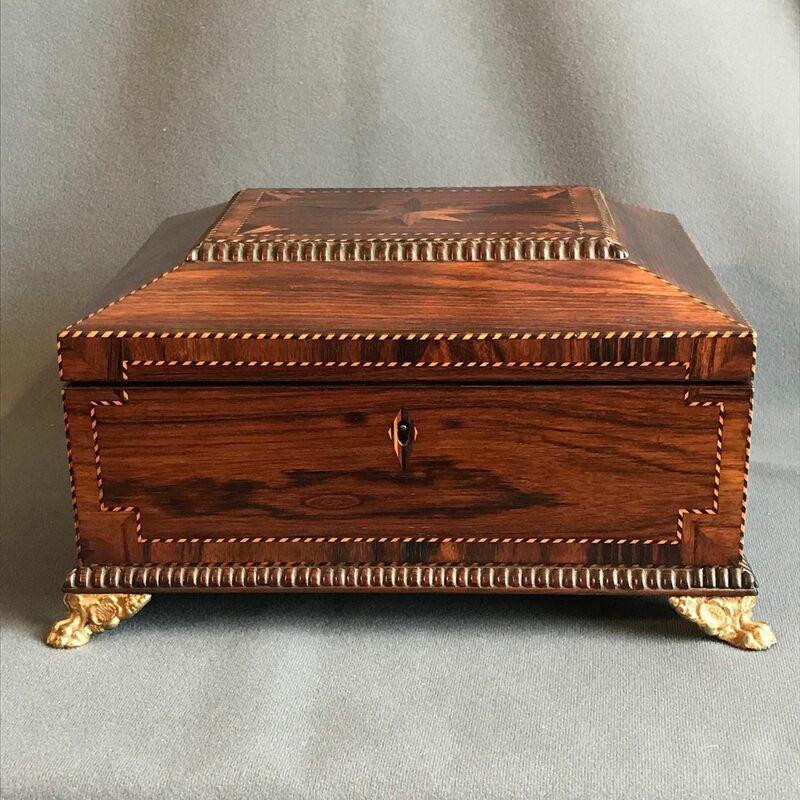 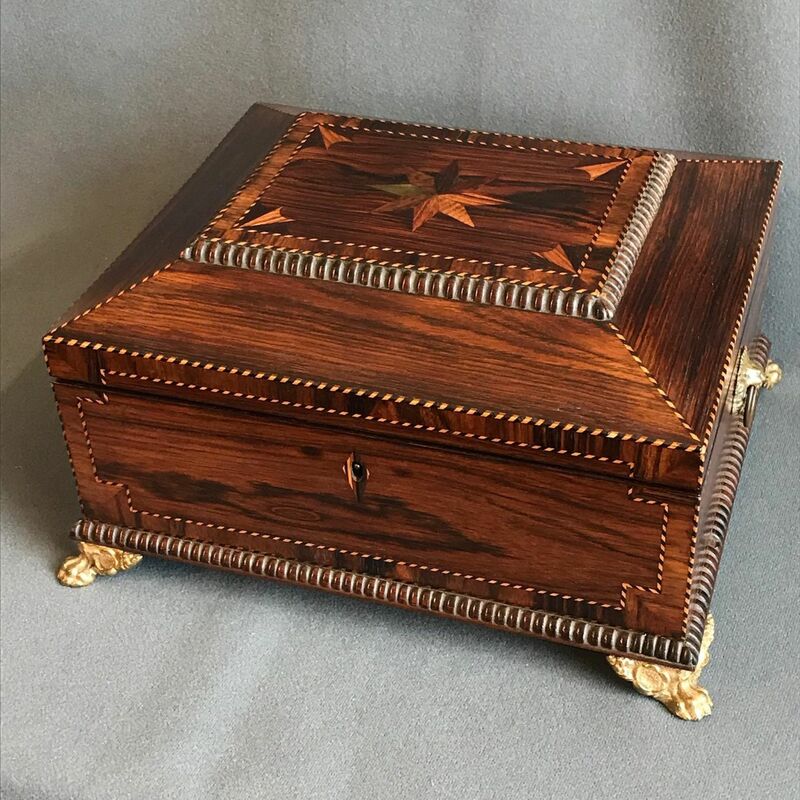 A superb Regency casket veneered in rosewood and raised on Brass paw feet. 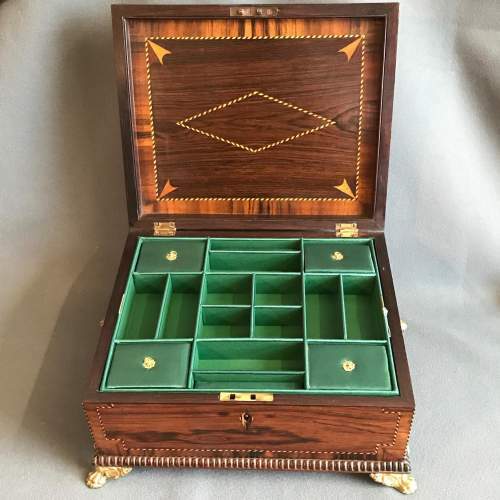 It has ring handles at the sides. 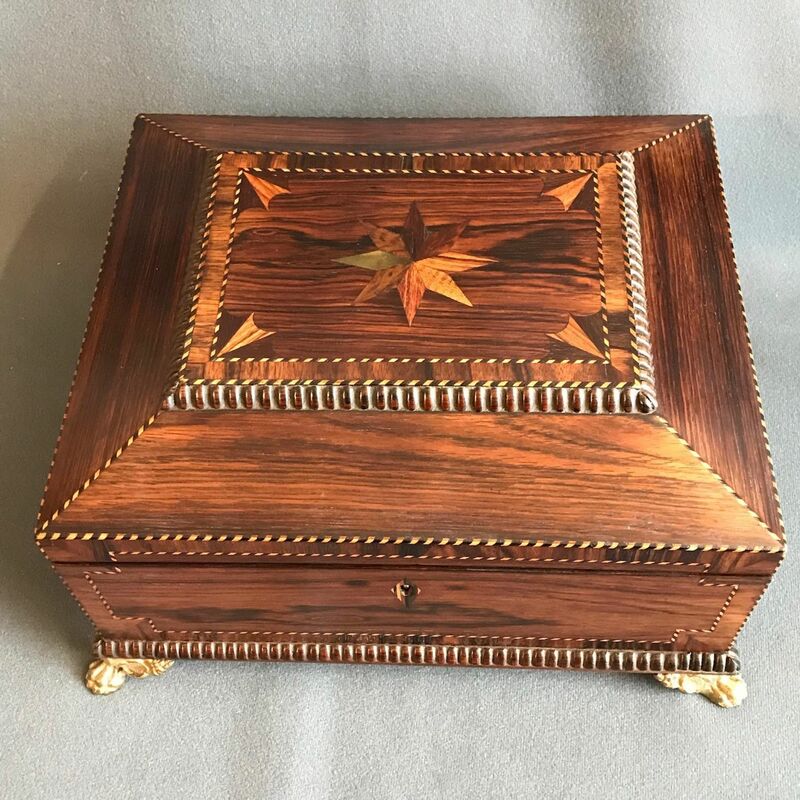 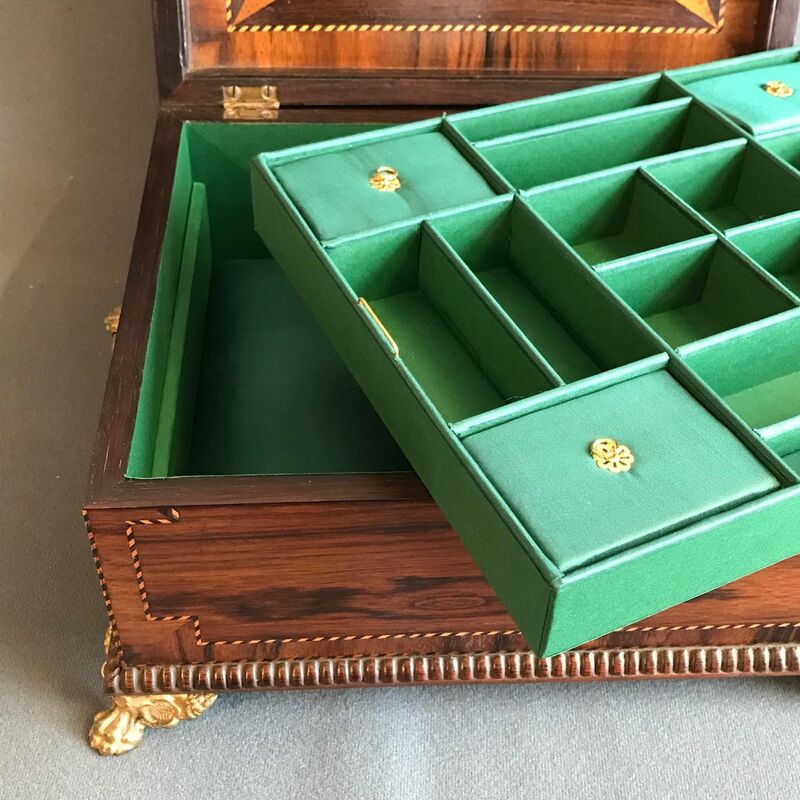 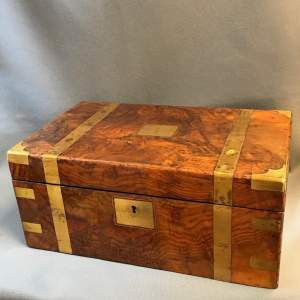 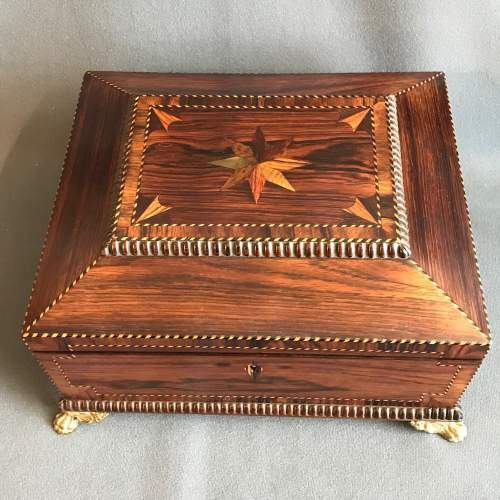 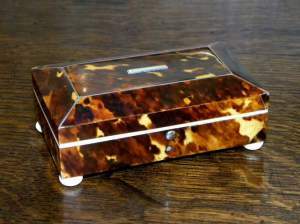 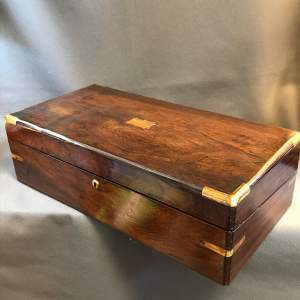 The box is extensively inlaid with barbers pole stringing and all the sides have been crossbanded. Star and fan inlays have been used to decorate the top panel along with Turned rosewood Banding. The lid opens to reveal further crossbanding and inlay work plus a relined interior fitted with a lift out tray. 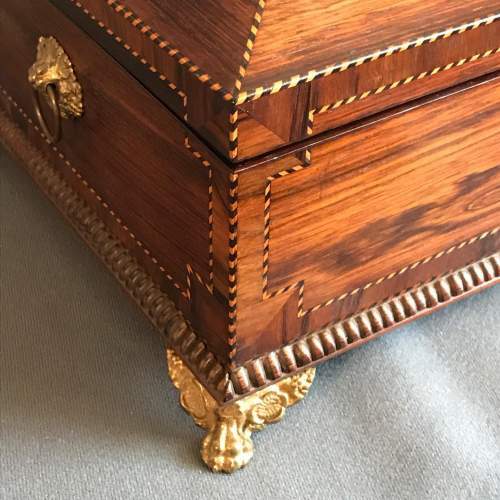 The original feet and handles still show traces of their original gilding.